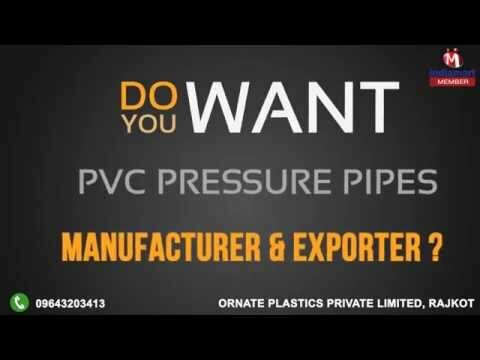 Welcome to Ornate Plastics Private Limited, Rajkot, established in the year 1984, we are one of the glorious manufacturers, exporters and suppliers of a vast compilation of PVC, UPVC and allied Products. Our product series comprises of Medium Duty Suction Hose Pipes, PVC Suction Hose Pipes, Braided Hose Pipes. We export our products to Indian Subcontinent. We believe in proffering the best quality possible and to make sure of the same, optimum quality plastic materials, acquired from our dependable and trustworthy vendors, are used for the manufacturing process.